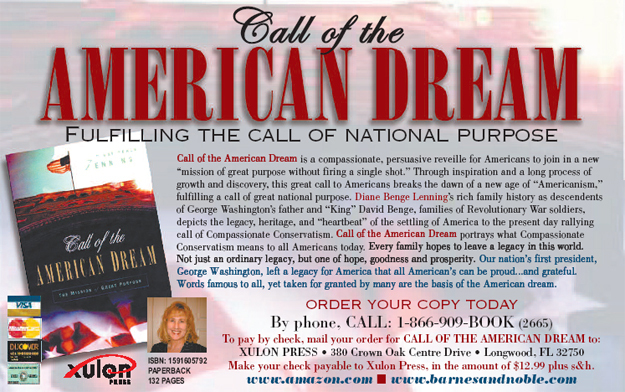 Call of the American Dream is a compassionate, persuasive reveille for Americans to join in a new �mission of great purpose without firing a single shot.� Through inspiration and a long process of growth and discovery, this great call to all Americans breaks the dawn of a new age of �Americanism,� fulfilling a call of great national purpose. Diane Benge Lenning�s rich family history as descendents of George Washington�s father and �King� David Benge, Revolutionary War soldiers, depicts the legacy, heritage, and �heartbeat� of the settling of America to the present-day rallying call of Compassionate Conservatism. 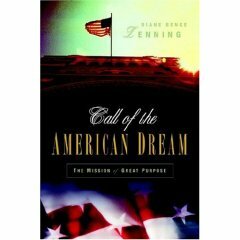 Call of the American Dream portrays what it means to all Americans today. 2Checkout.com, Inc. is an authorized retailer of Xulon Press, Inc.